Multimedia Messaging Service, or MMS, allows users to send multimedia content. The most common use is to post images - but it can also be used to transmit video, audio, and even phone contacts. Unlike standard text messages, MMS messages can also exceed 160 characters. How can I start using MMS? Today's addition of inbound MMS means that your contacts can send you images and animated gifs. You'll see these in Conversations when viewing a message thread just like you would with any other response. This feature is available to all customers on our updated texting platform at no additional cost. Is this the building where I'm supposed to report? Let everyone know to stay away from this area; we have an emergency. Do you think this is appropriate attire for my first day of work? Can maintenance come to fix this water leak? 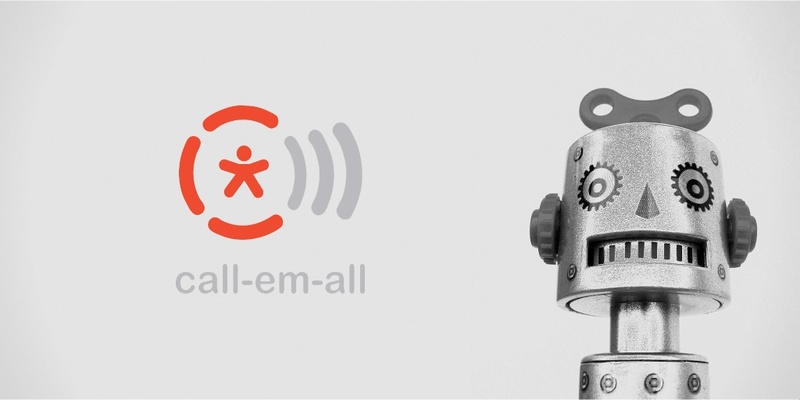 How is Call-Em-All MMS different? To start with, we haven't enabled video & audio messages in this first version. We'd like to hear more feedback from customers on whether or not this would be useful. So if you have thoughts, comment here or contact us in one of our support channels. You can also quickly scroll through all images from a contact with our handy carousel feature. Any image can also be downloaded to your computer if needed. MMS grants your contacts the ability to send pictures, like a timecard, to your team and is visible in the Conversations section of the account, in the broadcast details of each completed text broadcast, and the Phone Number History Report. Another way our solution is different is that we're choosing to warn you about unsafe content. In many cases, contacts reply to unwanted messages with vulgar or inappropriate responses. Auto opt-outs help remove these messages, so you don't have to see them. With images, we're using technology to review the image and mark it as unsafe so you can avoid inappropriate content. If a user clicks on the warning, they will get a prompt indicating we determined the material to be unsafe. However, you can still choose to view the content and mark it safe if you want. If someone sends you an animated gif, you will get a different warning because our image analysis can't analyze an animated file. Just click the warning, and you'll be prompted to mark the image safe or unsafe. Lastly, if someone tries to send you a file type that isn't supported, you'll get a different warning for unsupported media type. Before this change, MMS messages were simply not delivered to your account, and you didn't get a notification. Now, you'll at least know that a contact tried to send you a message. What if I want to send MMS messages? Outbound MMS is the next phase of the feature, and we're already working on it. Very soon you'll have the ability to send MMS messages to your customers which will open up a whole new way of engaging your contacts and providing useful information. Many users have asked for this feature, and we hope you'll provide some feedback on what you think of it and more importantly, how we can improve it. Please comment below or contact us via support. Call-Em-All provides mass texting services and calling services to all types of organizations. We strictly prohibit marketing, political, and other types of spam.